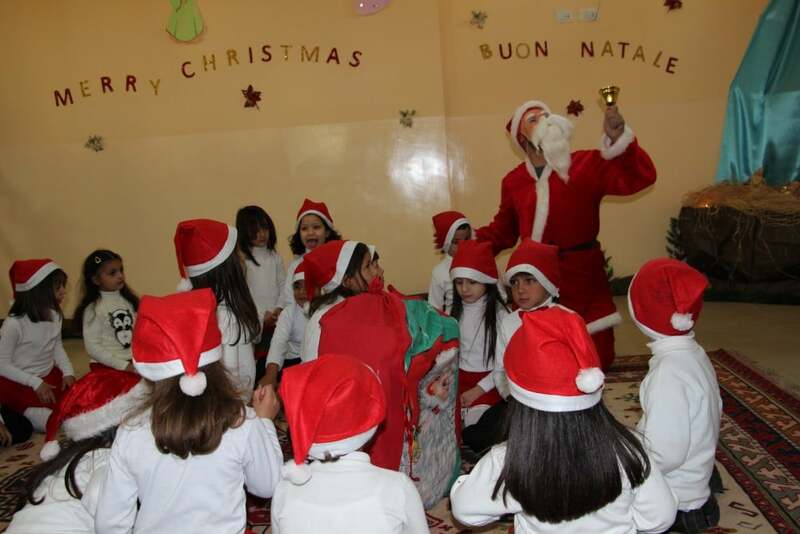 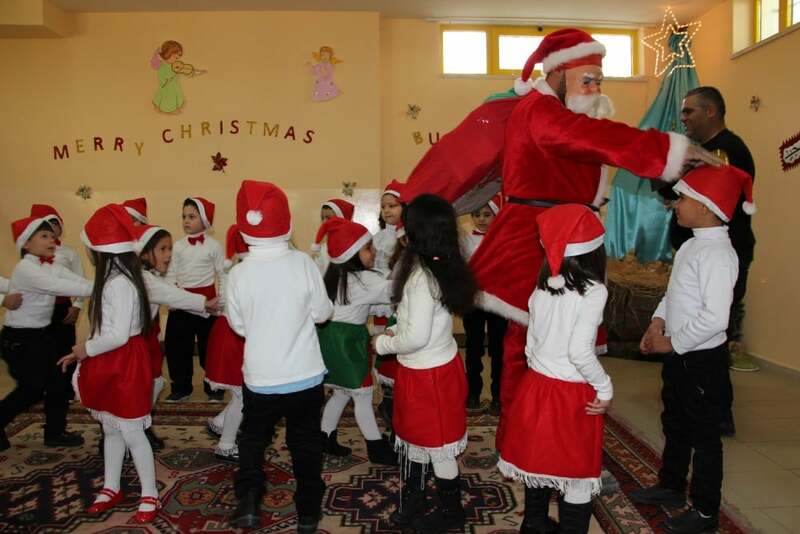 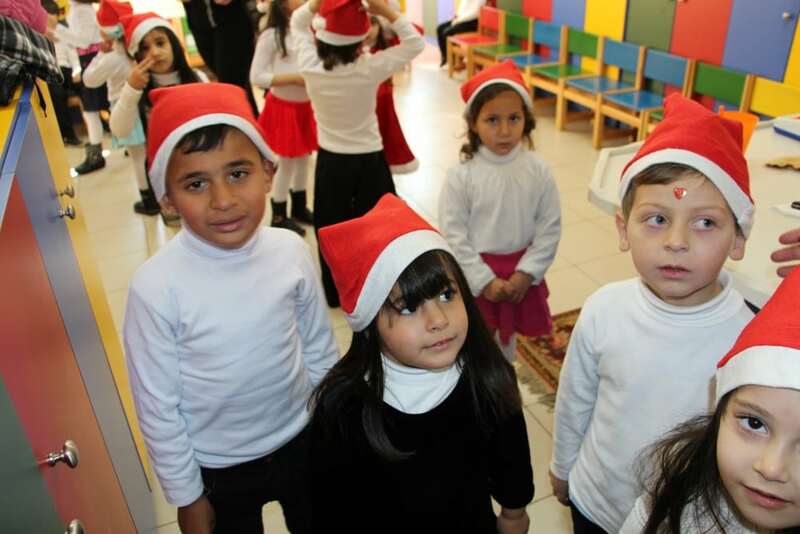 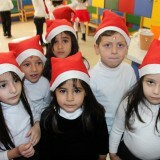 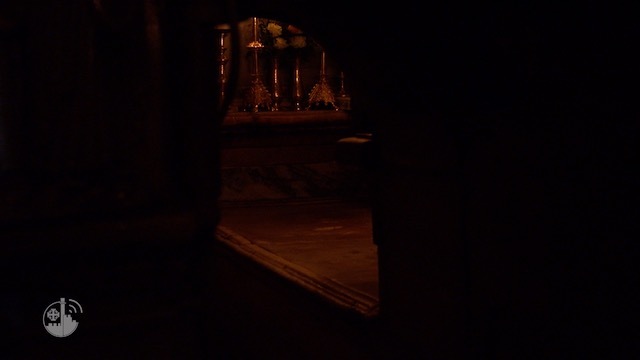 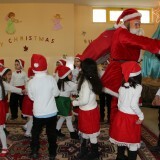 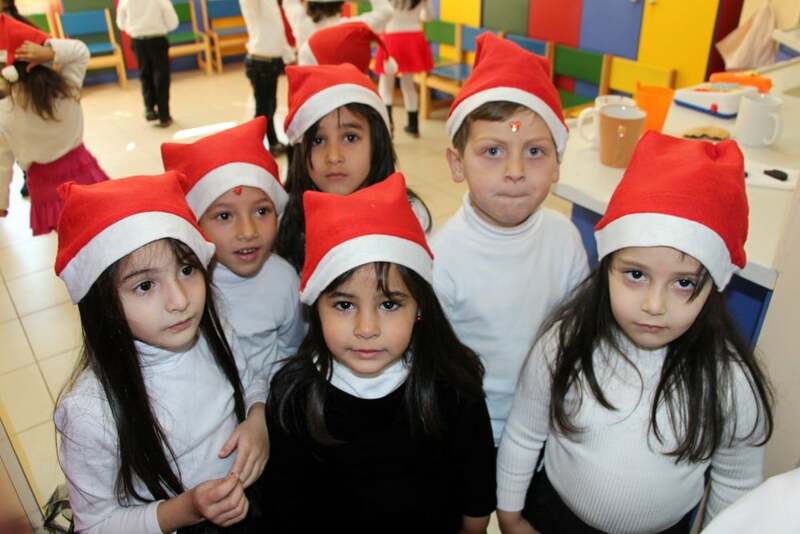 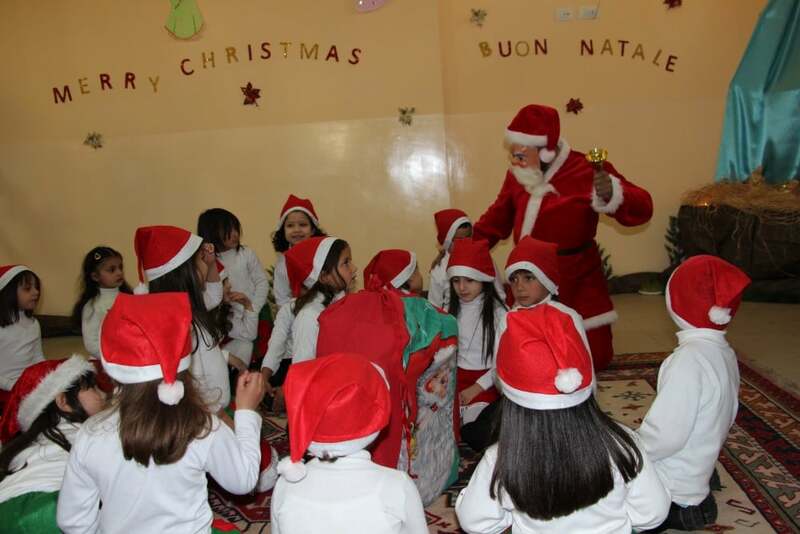 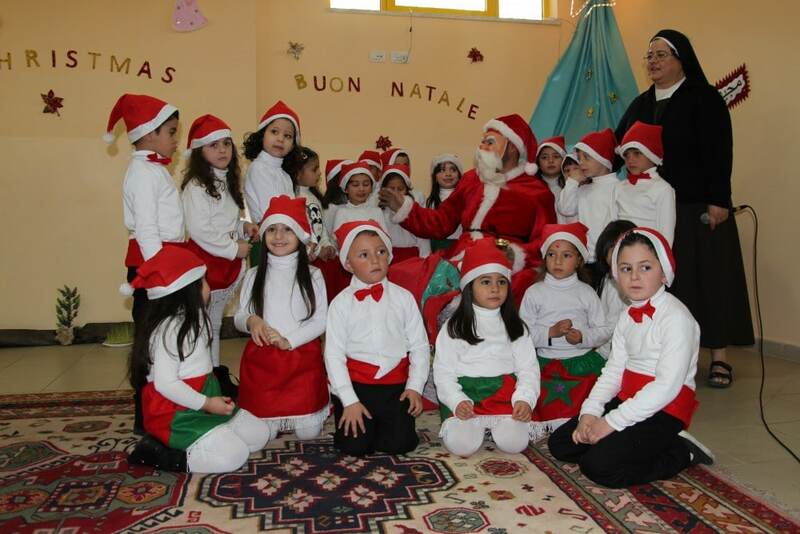 home / Multimedia / The Holy Land in news / Great Christmas celebrations at the Franciscan schools in ..
All the Christian Schools in Bethlehem have had great Christmas celebrations. 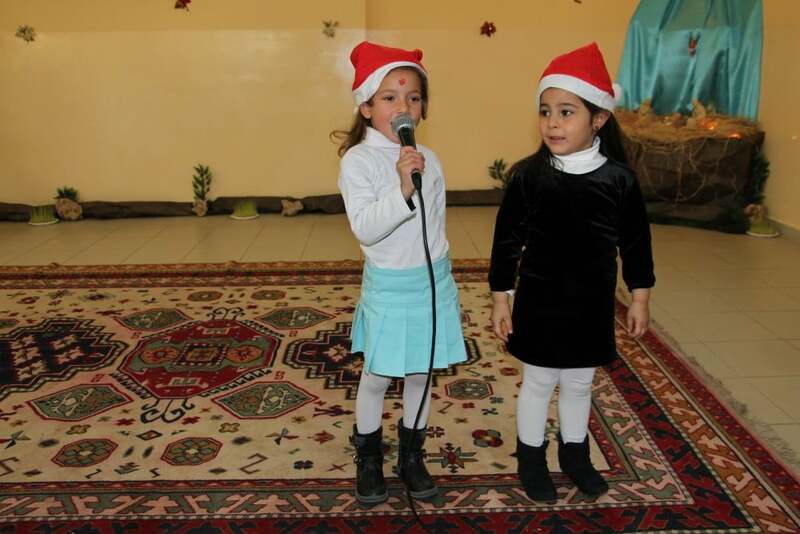 On the 22nd of December also at the kindergarten of the Aida refugee Camp the children and their families, both Muslims and Christians, celebrated all toghether despite the clashes and the tensions of these last months. 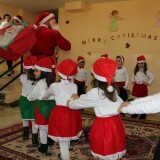 The children prepared a play in which they danced and sang a lot. 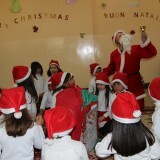 Then Santa Klause joined in, bringing gifts for all the 25 kids. 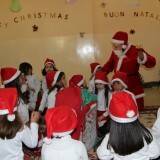 After the gifts where delivered, they all started singing and dancing again with Santa. 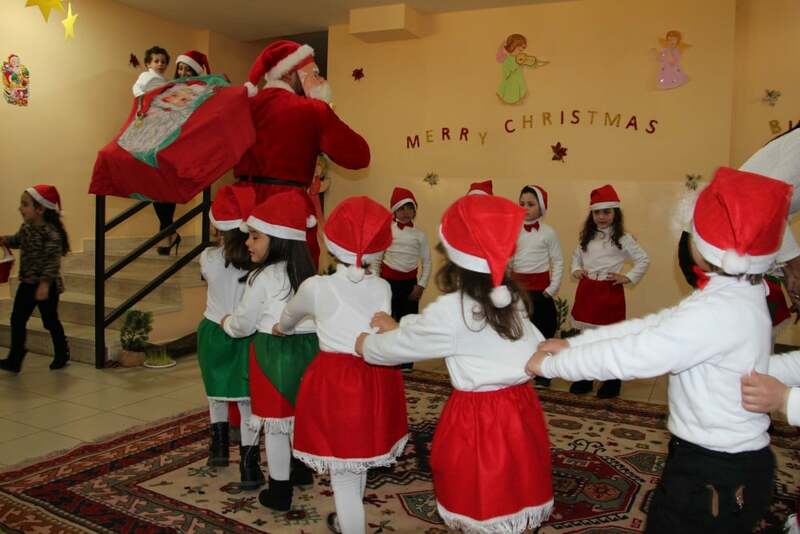 The children’s cheerfulness and their loud songs warmed up the tense atmosphere of the Camp. 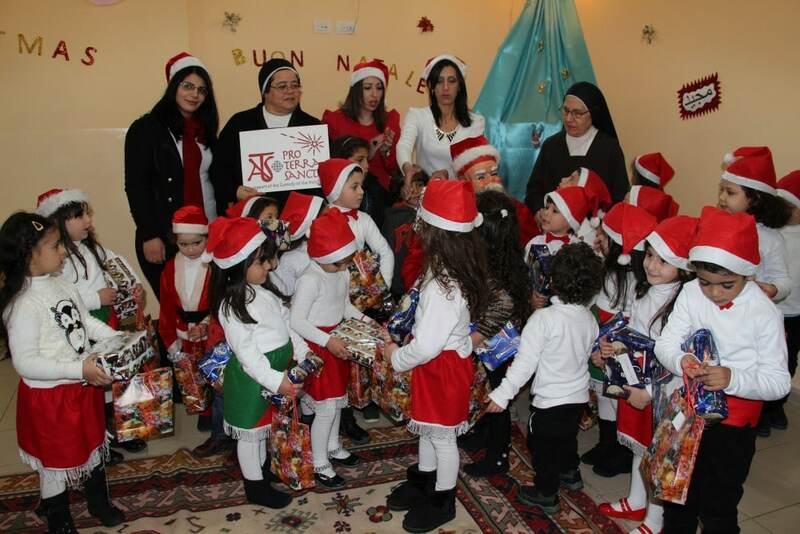 This moment of sharing wouldn’t have been possible and the gifts for the children couldn’t have been bought where it not for the support of our donors and friends. 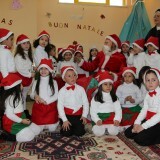 Association pro Terra Sancta and the children of Bethlehem thank you soo much! 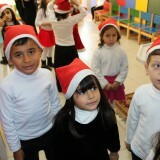 Keep on supporting the personal and social growth of needy children and young people in the town where Jesus was born.